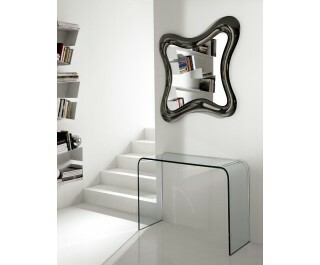 Monolithic mirror with convex frame in silver bent glass or in black chromium finish. AURA is designed for vertically or horizontally wall mounting. Dimensions: cm 90 x 110.